Our donors contribute in ways large and small to enable our work. We are pleased to shine a spotlight on four Amazing Kids for their efforts to support Water for South Sudan and thank their families and communities for helping to impact lives in South Sudan. When he’s not making smoothies, Ezra loves to bake and play sports. He enjoys baseball, basketball and football and he is a huge fan of the Green Bay Packers. A Long Walk to Water moved students and staff at Katie’s school to participate in the 2018 Iron Giraffe Challenge. Knowing she wanted to start a fundraiser as part of her Bat Mitzvah project, Katie decided to focus her efforts on supporting the people of South Sudan. “In third grade we had to come up with ideas to fundraise at my temple. I made a flyer with a pledge form and came up with Goals 4 Good,” Katie said. 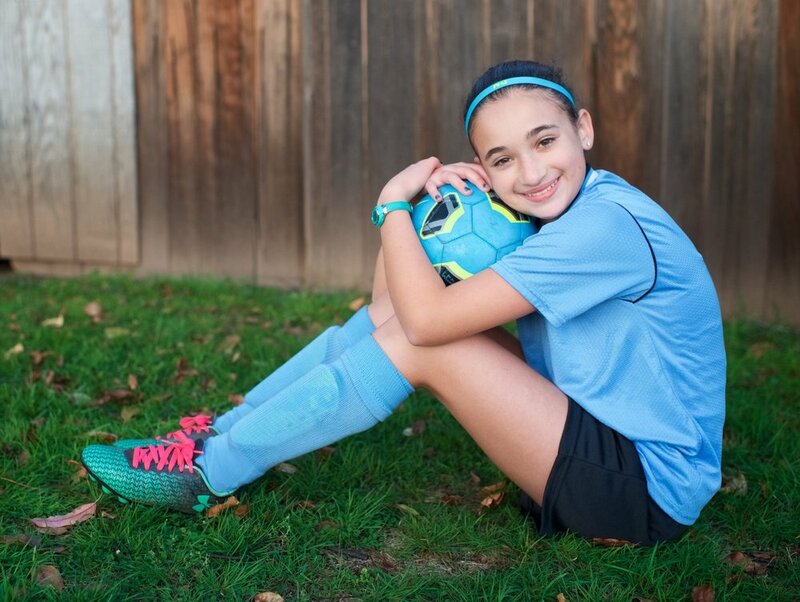 “I brought flyers to school, sold bracelets and asked the soccer team and family to support. Sometimes it’s easy to ask, sometimes it’s tough.” Katie’s advice to other kids interested in starting their own fundraiser, “Think of something you already like to do and make it interesting. Start by asking family for donations.” Katie’s goal is to raise enough funds to sponsor a well rehabilitation project. Katie loves to sing, dance, draw and play the ukulele. She dreams of becoming a gym teacher to share her love of sports. Do you know an amazing kid? Click the button below to complete the nomination form.